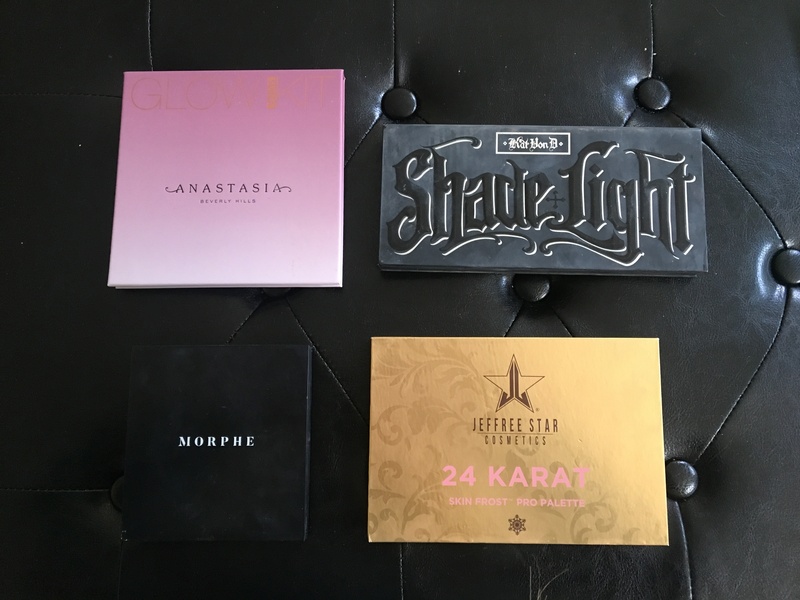 While sometimes individual eyeshadows or cheek products can be great, I like to reach for palettes a lot of the time because so much of what you need is in one place. I love these four palettes I’ve been using at the moment. Kat Von D Shade and Light Contour Palette – This is a staple in so many people’s makeup bags for a reason. The cool and warm contour shades mixed together are perfect to contour and bronze, and are evenly pigmented enough to quickly sculpt the face. The matte highlights including a banana shade are also great to set the under eye area. Anastasia Sugar Glow Kit – The highlight shades in this kit are the most wearable and beautiful to keep you beaming all day long. My only gripe is that you should definitely not drop it because when I did one of my most worn colors shattered immediately. I really enjoy mixing several colors at a time though, or using them wet. Morphe Always Golden Eyeshadow Palette – I was pretty curious about Morphe from hearing about them on the YouTube beauty community constantly so when I heard they were including mirrors and more compact palettes in their newer collections, I was intrigued. When I saw some of their line now at Ulta, I added this quickly to my cart. I was pleasantly surprised by the pigmentation and quality because it blends out like a dream and oftentimes is all that I use to create a everyday eye look. If you’re on the fence about Morphe this palette is great especially for the price and I’d definitely recommend it. Jeffree Star Skin Frost Pro Palette in 24 Karat – Jeffree Star is a pretty polarizing person and sometimes I almost hesitate to write about him, but then I don’t because of the quality of the makeup, and it’s all about the makeup. I loved how long his highlighter in Eclipse lasted, especially used wet, and I like to use this palette with a fan brush or even as a spotlight/halo shade on my eyelids as eyeshadow (mostly the top row and the shade Giza). They look great! I want to try them all!